Through sharing one prize fund, one lottery system and one experienced and knowledgeable team – lots of expenditure can be saved and our partner hospices can enjoy a low risk, low input way of increasing their income. Our model of operation is based around partner hospices receiving more income from every £1 spent by players entering the draw in support of them, than they would if they ran their own lottery. All profits are donated to hospice care and Local Hospice Lottery gives between 50% and 80% of profits to its partner hospices. For each £1 entry in the weekly draw Local Hospice Lottery gives an average of 60p to hospice care. 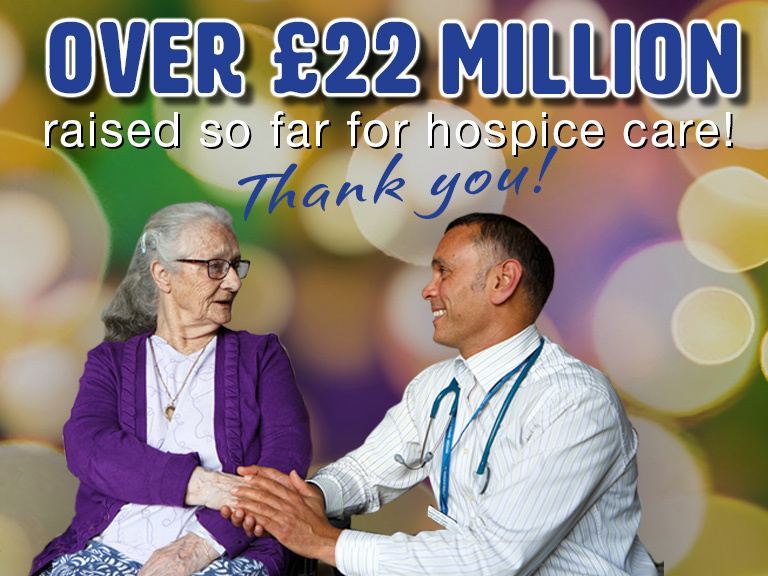 Our ever increasing annual contribution to hospice care is significant and has been widely recognised by external bodies such as The Lotteries Council who named Local Hospice Lottery as ‘Lottery Operator of the Year’ in April 2018 and the Commission into the Future of Hospice Care which described us as “A shining example of hospice collaboration.” We were also a finalist for the 2017 Third Sector ‘Enterprise’ Award, a finalist in the 2017 Scottish Institute of Fundraising Awards in the ‘Best Individual Giving Campaign’ category, and was shortlisted for a 2017 Institute of Fundraising Award in the ‘Most Committed Company to the Sector’ Category. PLUS there’s also an opportunity to win an additional £10,000 top prize in our Super Draws every March and September! You can read more about our Super Draws here. So for just £1 per week per chance (less than the cost of a cup of coffee) Local Hospice Lottery provides a fun, easy and affordable way to support local hospice care AND be in with the chance to win some pretty fantastic prizes too!